DIRECTIONS: THOMAS GUIDE (KERN COUNTY) EAST OF HIGHWAY 5. SOUTH OF 58 HIGHWAY. 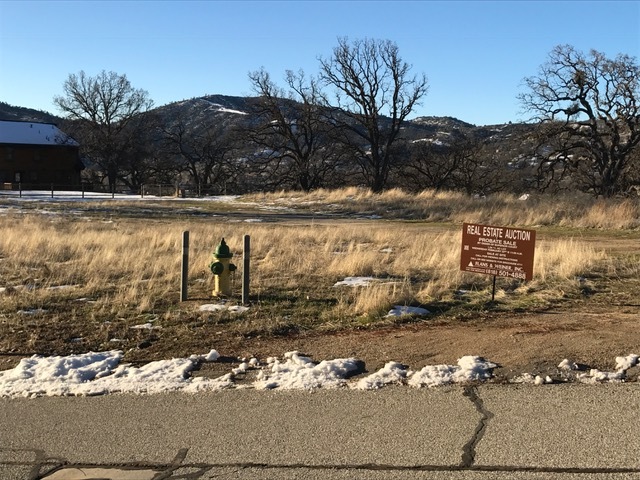 DESCRIPTION: GREAT OPPORTUNITY TO BUY A 1.34± ACRE VACANT LOT IN THE BEAR VALLEY SPRINGS ASSOCIATION OF TEHACHAPI. H.O.A. PACKAGE AVAILABLE UPON REQUEST. CLOSE TO OAK TREE GOLF CLUB. H.O.A. DUES FOR 2016 WERE $1,420 (ANNUAL). THERE WILL BE A NEW DUES ASSESSMENT COME JULY 1, 2017. PLEASE CONTACT BEAR VALLEY SPRINGS H.O.A. @ (661) 821-5537 WITH ANY QUESTIONS. DEPOSIT: $5,000 CASH OR CASHIER’S CHECK REQUIRED TO BID. BALANCE OF 10% DEPOSIT BY PERSONAL CHECK. CASHIER’S CHECK SHOULD BE MADE PAYABLE TO FLANS & WEINER, INC.. IN THE EVENT YOUR BID IS REJECTED, DEPOSIT WILL BE REFUNDED WITHOUT INTEREST.